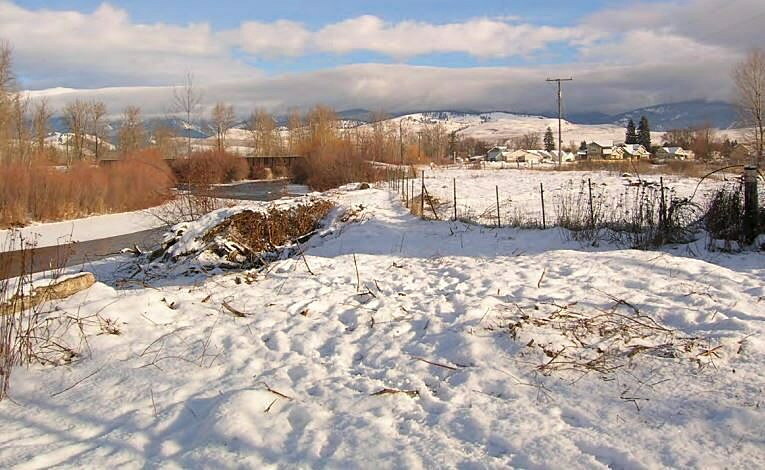 The Missoula City Council and Missoula County commissioners gave their unanimous endorsement Monday to spending $320,000 of open space bond proceeds on land along the Clark Fork River west of Missoula that connects trails, riverbanks, an island and other conservation lands. The 4.6-acre Kolendich-Grove Street property “is truly a connector point for all of our conservation efforts west of town,” said Elizabeth Erickson, the city’s open space program manager. The Kolendich-Grove property is the barren land in this aerial photograph. The Grove Street property contains a key section of the historic Milwaukee Railroad right-of-way; the terminus of the Milwaukee Trail is currently at the eastern edge of the property. 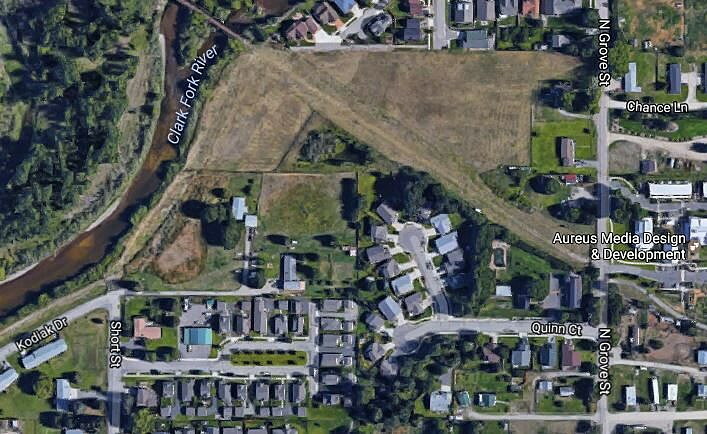 With that land in city ownership, the Milwaukee Trail will extend west to Mullan and existing trails along Mullan Road west toward Frenchtown – achieving a goal in the 2006 Missoula Urban Area Open Space Plan. 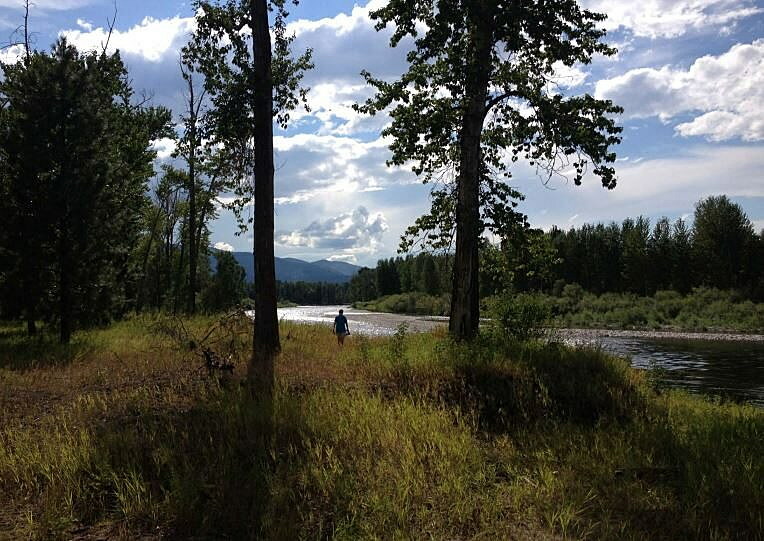 Offered for sale only to the city, the Kolendich property also provides access to the Clark Fork River, as well a legal and physical access to the 75-acre Clouse-Clark Fork River open space acquired by the city in early 2016. An existing Milwaukee Railroad bridge provides access to the island, with lands on both the Grove Street property and the Clouse property. The bridge will need work to be safe for pedestrians, Elizabeth Erickson told council members and commissioners, but those costs are part of the funding approved at Monday night’s joint meeting. Of the $320,000 to be expended from the open space bond account, the property will cost $255,000, transaction costs will total $6,625, and project-related work (including site prep, fencing, environmental abatement, bridge assessment and safety work) will cost $58,375. Any unneeded funds will be returned to the open space bond account. City Council members were effusive in their support for the purchase. “As a resident of Ward 6, I’m pleased for myself and pleased for my fellow residents to have this open space so near and so accessible,” said Councilwoman Michelle Cares. Councilman Jon Wilkins said he can imagine his twin 19-month-old grandsons enjoying the area one day, walking along the river or across the bridge to the island. “The potential is here to connect the entire valley, multiple valleys in fact,” said Councilwoman Heidi West.